Adoption & Family Support Center is licensed by the State of Florida to conduct adoption home studies, your first step in the adoption process. We are a full service agency. This means that we can help you with finding a child to adopt or, simply provide home study and post placement services. You are totally in control of which services you would like from us. Established in 1992, AFSC has always focused on relationships. Adopting is a “leap of faith” and we are honored to walk beside you as you begin one of the most important chapters of your life…Parenthood! We consider the home study your “paper pregnancy”. 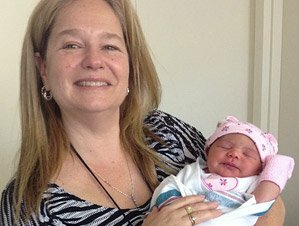 Just like with pregnancy, this process is intended to prepare you for becoming a parent. Fortunately, a home study does not take 9 months to complete and can even be done on an expedited basis if your little one is due soon. So, what exactly is a Florida home study? 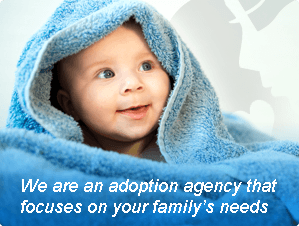 The home study is the legal process through which you are qualified to adopt a child. This process includes adoption education, home visits, sharing of information via paperwork and interviews, medical and financial assessments, background clearances and personal references. This may sound like a lot, but we have streamlined this process making all education and paperwork available online. This allows you to complete many of the requirements when and where it is most convenient for you. We know that you are busy and consider your time very valuable. This is why we specialize in scheduling our home visits on nights and weekends! One of the most exciting opportunities we have to offer families who conduct their home study through AFSC is the “Our Family” priority showing program. Once you have completed your home study through us you will receive free, priority showings to all of our expectant parents. Unlike other agencies who charge parents to be shown to expectant moms, AFSC believes that “your child will find you”! We want our amazing birth parents to get an opportunity to consider “Our Families” and do not want fees to interfere. Education – Each family receives our “State of the Art” online education and support. Responsiveness – Dedicated staff who focus on your needs – call, text or email. Find your Child – Free Birth Parent showings with “Our Family” priority showing program. Convenience – Online documents and education provided. Night and weekend home visits and free consultations. Priority Showing: This is a free service. Find your child with “Our Family” priority showing program. We are only a click, call or text away! Get started on building your family today. Call or text us at 386-235-4667 or email baby@afscfl.com.